Last weekend’s news that President Obama had signed new sanctions against Iran was swiftly followed by reports that Iran had test-fired shore-to-sea and surface-to-surface long-range missiles close to the Strait of Hormuz. The missile tests came at the end of a massive 10-day Iranian military exercise in the Gulf and accompanied a reported threat by Vice President Ahi Rahimi to close the Strait should further sanctions be imposed on his country. Diplomatic relations between Iran and Western nations hit an all-time low following the storming of the British embassy by hardliners in Tehran at the end of November. The attack precipitated the withdrawal of British diplomatic staff and the expulsion of Iranian diplomats from London. Whilst there may have been sound security reasons for the withdrawal of diplomats the breaking off of diplomatic relations has severed an important channel of communication which has remained intact throughout the Iran-Iraq war and the 1979 revolution. The possibility that Germany, France, Holland and Italy – all of whom recalled their ambassadors from Iran for consultations following the attacks – might follow Britain’s example, and with America having no formal diplomatic engagement with Tehran, future negotiations with Iran are set to become significantly more difficult. It is all a far cry from 2008 when a newly elected President Obama showed a determination to engage directly with Tehran. In his broadcast to Iran he publicly acknowledged Iran’s right to enrich uranium and in October 2009 he held direct talks with the Iranians in Geneva. Commenting on these talks at the time the Financial Times noted that President Obama “got more out of Iran in eight hours than his predecessor’s muscular posturing did in eight years”. But Geneva was to prove a high-water mark in good US-Iranian relations. In the intervening years Iran has accelerated its enrichment activities and President Obama has long since withdrawn his “hand of friendship”. At the Geneva talks a proposed agreement devised by the US would have seen Iran exchange most of its current stockpile of low-enriched uranium (LEU) for fuel rods from Russia and France. This “fuel-for-fuel” swap was largely accepted by President Ahmadinejad but he proposed that the IAEA assume control of the (LEU) in Iran until the fuel rods were delivered. The Americans rejected this proposal. The following year Brazil and Turkey negotiated a deal with the Islamic Republic where LEY would be taken to a neutral counrtry. The deal was almost identical to one put forward by the US in Geneva but rather than welcoming it Washington responded with scepticism and imposed new sanctions on Iran. In September, whilst attending the UN General Assembly meeting in New York, President Ahmadinejad hinted that he would be willing to revive the fuel swap deal saying that Tehran would stop producing 20 percent enriched uranium if it was guaranteed fuel for a medical research reactor. Whether or not this was a serious offer or political brinkmanship we will never know since the offer was never followed up. Last June, following IAEA chief Yukiya Amano’s statement that he had “received further information related to possible past or current undisclosed nuclear-related activities that seem to point to the existence of possible military dimensions to Iran’s nuclear program”, Tehran announced that it would shift its production of higher grade uranium to an underground bunker and triple its production capacity. 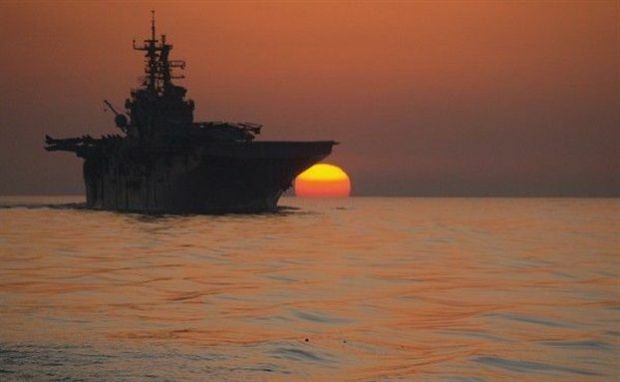 In the meantime the US has reinforced its military presence in the Gulf, carrying out large-scale naval manoeuvres in the Atlantic with the British and French as well as allowing Israel to use NATO bases for exercises. NATO’s missile defence system has been deployed across the region and reports suggest the US has shipped hundreds of ‘bunker-buster’ bombs to military bases on the island of Diego Garcia and supplied 55 of the bombs to Israel. In Iran the ratcheting-up of nuclear tensions has had a negative impact on the beleaguered Green Movement, diverting attention from demands for greater democracy. Hopes that the movement would be reinvigorated by the Arab Spring have not been realised and with its leaders under house arrest and activists and intellectuals imprisoned or forced to flee abroad, the Green Movement has been largely contained. With elections looming in America and the US in the midst of economic troubles, Obama will not be keen to get involved in another unpopular military adventure in the Middle East. However, he may well be coming under increasing pressure to take a harder line against Iran not just from Congress but from within his own party. Like the conservative Iranian leadership, neo-conservatives and policymakers in Washington are concerned by the unprecedented rise of people power sweeping the Middle East and the resulting loss of strategic influence. The withdrawal of US troops from Iraq has only helped to extend Iran’s sphere of influence in the region. Western anxieties about Iran’s influence are nothing new. In 1953 the CIA and British secret services orchestrated the overthrow of Iran’s President Mossadegh and just last week the disclosure of British political documents from 1981 revealed that Thatcher’s government was covertly supplying military equipment to Saddam Hussein during the Iran-Iraq war. Whilst Iran clearly has reasons to distrust the Western powers, Western concerns about Iran’s possible nuclear weaponisation programme are also genuine. With tensions escalating, this should be a time for increased diplomatic activity rather than a diplomatic shut down. The best way to ensure that Iran does not become a nuclear-armed nation is not to isolate Tehran but to revive discussions around the fuel-for-fuel swap and reinstate the IAEA’s rigorous international monitoring activities. Rhetoric on both sides should be toned down and the parties should be encouraged to move back towards the negotiation table. Only then might war be prevented from spilling from the minds of men and onto the bloody canvas of the battlefield.